Friday, May 1st is Safety Day for Woodworkers. Here are some safety ideas you can use. Make sure you have a way to get in touch with someone to help you if you get hurt. My wife used to call down the basement stairs to my shop periodically to see if I could still answer. One of my friends was in his basement shop when he had a stroke and laid on the floor for several hours before they found him. He did not survive. Now that I live alone, I make sure my phone is very close at hand in case I need to call someone. Get you one of those panic buttons you hang around your neck. Put a splitter back of the blade on your table saw. 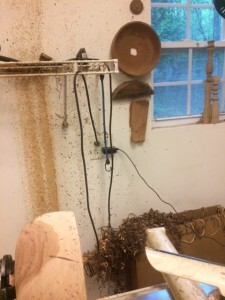 Most kickbacks occur when a piece of wood twists into the back of the saw blade. A splitter, either the one which came with your saw or an aftermarket device, will prevent most kick-back accidents. 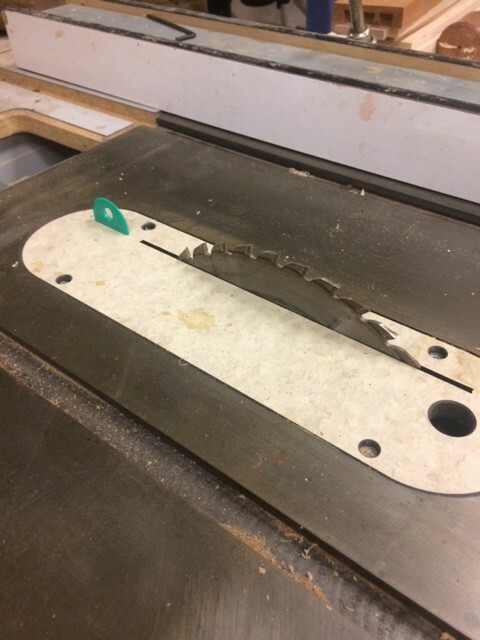 Put the saw blade guard back on your saw. Or get you one of those 3-D printers that are dropping in price and maybe you can print yourself some prosthetic fingers after you leave them on the saw table. I ran a Land Surveying Company and one of my crew made wooden stakes to sell to the company. We bought them a thousand at a time, so he spent his weekends making stakes. He got complacent and left his right index finger laying on the saw table. Make sure you have a First Aid Kit close to hand. And in case of a severe injury, it may be critical to have a trauma blood clotting bandage. Better safe than sorry. Plus some of you old guys may take blood thinners, and if you cut yourself with those in your system, it will take a long time to clot. You realize that cell phones do not always transmit your address when you call 911, don’t you? It sounds silly, but if you are lying on your shop floor in a pool of blood, can you keep your senses about you long enough to tell the dispatcher where you are located? Might want to hang a sign with your address on the the wall. Or at least tell the operator your address at the beginning of the call before you pass out. And make sure they can see your address from the street. Wear a face shield when you are turning. Stuff flies off all the time. Mike Mahoney was teaching a class a few years ago and one of his students lost his front teeth when a chunk of wood flew off the work. I keep pieces which came off screwed to the wall behind the lathe so I can be reminded of what can happen.